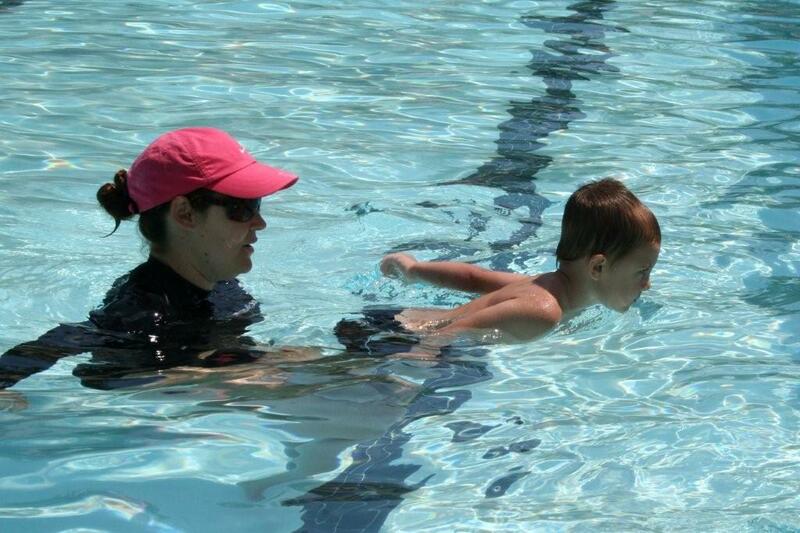 Evan just finished his first swimming lesson “course”. I didn’t necessarily know what to expect in terms of how much he’d learn or what all he’d be able to do in the end, but I must I was actually rather impressed with the little guy. He’s not ready for the ’08 Olympics, but he learned enough to enjoy it & have fun.